The English translation of the title is “Ravening”. The tagline on the poster declares, “Consumed by love”. In Bhaskar Hazarika’s Aamis, romance, food and a liberal understanding of carnality swirl together in the same pot. The Assamese-language film boldly explores the feelings that simmer (and finally boil over) between Nirmali (Lima Das), a married paediatrician, and Sumon (Arghadeep Baruah), a younger anthropology student who is pursuing a doctorate on meat eating in the North-east. “Meat isn’t the problem, gluttony is,” a character says. This commonsensical observation takes on dark tones as the bond grows deeper between the unusual pair, separated by age and morality but united by their love for the forbidden. Hazarika is no stranger to weirdness. His acclaimed directorial debut in 2015, Kothanodi, was a collection of grim tales revolving around foeticide, possession and witchcraft. The Assamese-language film, based on folk tales, conjured up unpredictable and grisly scenarios for its characters on a modest budget and with minimal visual effects. Kothanodi was premiered at the Busan International Film Festival in 2015, and was released in theatres the following year. Aamis will be premiered at the Tribeca Film Festival in New York City between April 24 and May 5. Aamis, which has been backed by Signum Productions, Metanormal Motion Pictures and Wishberry Films, will be screened in the International Narrative Competitive section at Tribeca. Lima Das in Aamis. Courtesy Signum Productions/ Metanormal Motion Pictures/Wishberry Films. While Kothanodi plays out in the past and in deceptively bucolic villages, Aamis is set in present-day Guwahati. The idea of craving for one kind of flesh makes Aamis a food movie, while the desire for flesh of another variety makes it a romantic drama. Hazarika sets up genre conventions while deftly subverting them. There are loving shots of food and love scenes that suggest the development of a relationship circumscribed by society but driven by mutual passion – until the details start adding up and elements are introduced to take viewers towards a twilight zone. Arghadeep Baruah and Lima Das in Aamis. Courtesy Signum Productions/ Metanormal Motion Pictures/Wishberry Films. “Timely intervention” from Wishberry Films, the film production arm of the crowdfunding website, “rescued us from post-production hell”, Hazarika added. Kothanodi also looked eastwards for inspiration. In a previous interview with Scroll.in, Hazarika cited Japanese horror movies such as Onibaba and the anthology film Kwaidan among his inspirations. “Overall, I try to seek aesthetic inspiration from South East Asia and the Far East for my Assamese content, because I feel we are more culturally analogous to those regions rather than to the pan-Indian mainstream,” he said. There is even a touch of Hong Kong director Wong Kar Wai in the build-up to the romance between Nirmali and Sumon before Aamis takes a decisive shift towards kinkiness. The lack of experience worked to the movie’s advantage, Hazarika said. “I love how both of them just blended their personalities with the characters they were playing, and as a result, we got a pair of awkward, shy lovers that really added a fresh dimension to the story,” he said. Arghadeep Baruah in Aamis. Courtesy Signum Productions/ Metanormal Motion Pictures/Wishberry Films. 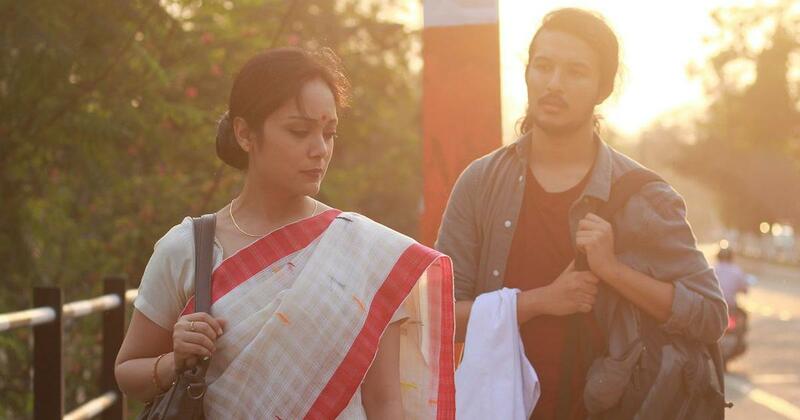 Hazarika hopes to screen Aamis in India, especially in Assam, after its festival run. 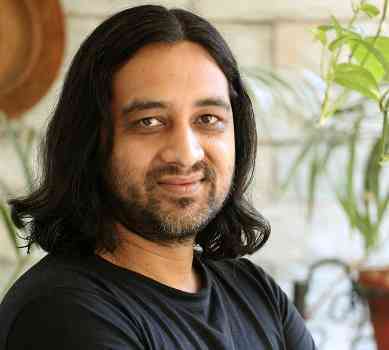 He has previously written for Hindi movies, including Players, and television serials (Left Right Left and Ssshhhh...Phir Koi Hai), and has since left Mumbai behind to make independent films that explore themes that are rarely touched by mainstream productions. “Bombay was challenging and stressful,” Hazarika said. “I’m much happier doing independent cinema.” Among his upcoming projects is a Hindi-language web series that he is co-writing, and which will be made by Peepli Live director Anusha Rizvi, and another Assamese film.